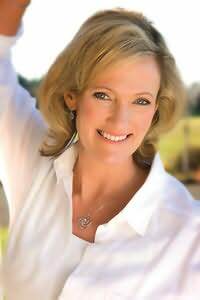 Karen Kingsbury is a #1 New York Times bestselling novelist and is America's favorite inspirational storyteller, with more than twenty-five million copies of her award-winning books in print. Her last dozen titles have topped bestseller lists and many of her novels are under development with Hallmark Films and as major motion pictures. In 2001 she and her husband, Don, adopted three boys from Haiti, doubling their family in a matter of months. Today the couple has joined the ranks of empty nesters, living in Tennessee near five of their adult children. "Katrina's Wings takes the reader on a journey through the introspective places of the soul to a place where love is launched and faith begins." "A riveting adventure in page-turning mystery and laugh-out-loud humour. Lori Copeland at her best!" "Sally John and Gary Smalley are a team with a wealth of... understanding and deep compassion for people." "Tom Davis weaves his heart for orphans onto every page." "Mark Schultz has touched millions with his song, 'Letters from War.' Now Mark's novel will take you deeper into the story, grabbing your imagination and taking you on an unforgettable journey of the heart."